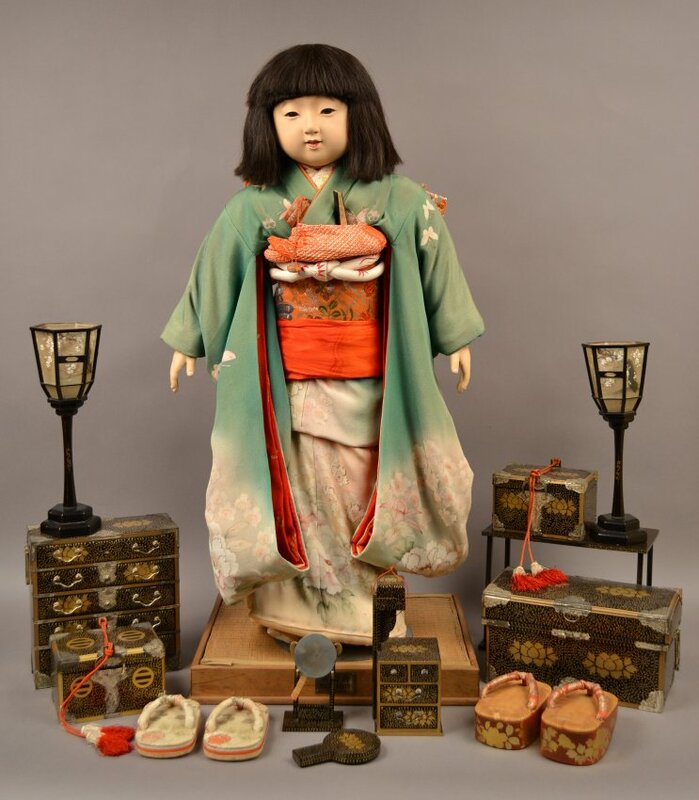 This pair of miniature bonbori lamps is one of the Miss Kyoto doll accessories. 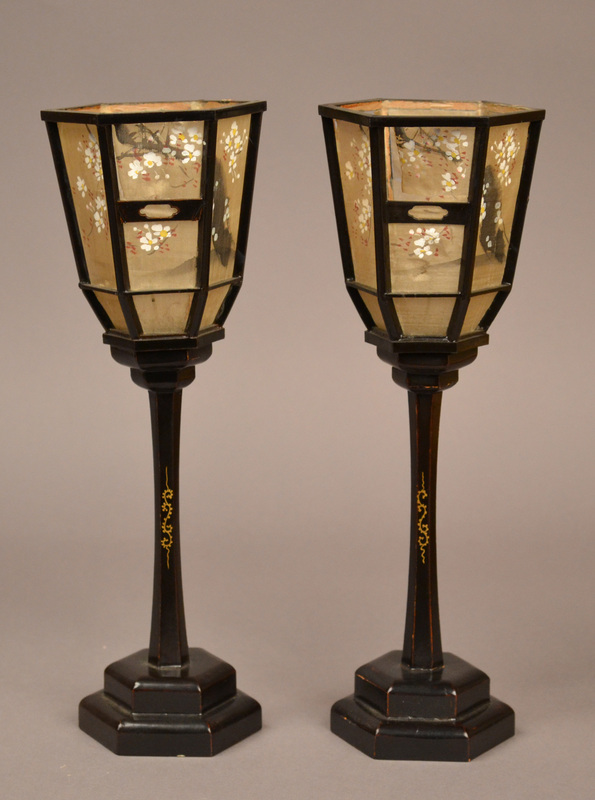 They are both made of black lacquer with a painted gold leaf design on the base. The six-sided lampshades are made from separate pieces of silk painted with sakura (cherry blossoms). The lampshade on AB 782.7 is damaged, torn in three of the six panels. Bonbori lamps are paper lamps on a post that have a six-sided cross-section and a wide, open top.